The Council for Canadians of African and Caribbean Heritage (CCACH) started in 1985 as the Council of Black Organizations. More than 10 years later they changed the name of the organization to CCACH and introduced a logo that brought meaning to them in terms of how they wanted to operate. The organizations mandate at that time was to advocate on behalf of Black organizations operating in the city. Since then, however, CCACH’s mandate has changed to focus more on the education and celebration of Black heritage within Canada. As such, CCACH introduced a new logo that showcases its focus. The logo itself depicts a well grounded, rooted tree that represents education. Through learning and education, our students are able to branch off into many directions and continue to grow. The three circles in the background showcase the unity of the “Afro” diaspora in the Caribbean, Africa and Canada. They also come together in the middle, behind the tree showing how together we are supporting the future growth of our children. The colours of the CCACH logo capture pan-African colours showcased on many flags from Africa, the Caribbean and Canada : red, green, blue and green and black. Since its inception in 1992, AfroQuiz has worked with different graphic designers in the community to come up with exciting posters and logos for the event every year. This was an opportunity to be creative and come up with fun posters, which we all looked forward to. However, this didn’t allow for AfroQuiz to have its own identify for the event to be recognized from one year to the next. 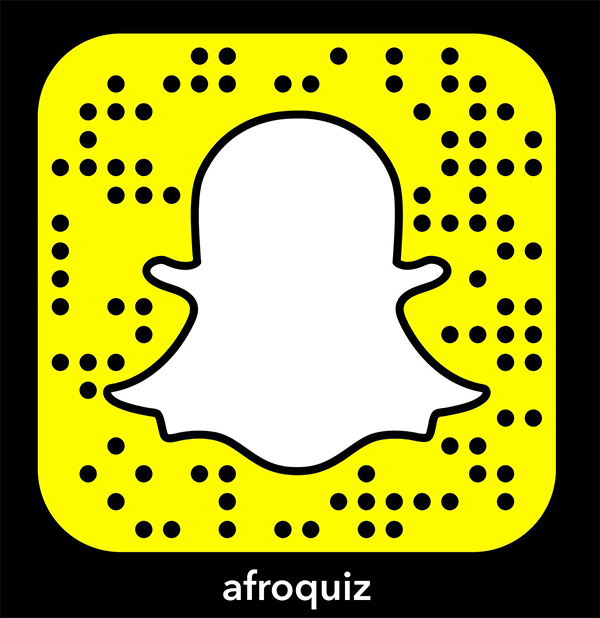 As such, on September 5, 2016, AfroQuiz received its own brand identity with its very own logo! The playful AfroQuiz logo tries to represent the quiz show aspect of the annual CCACH event. Since answers are given in the form of a question, there is a question mark in the logo which surrounds googly eyes. Since children see the world in a playful manner, we thought this was quite representative of all of the students who participate in AfroQuiz. Since AfroQuiz is one of the events offered by CCACH, we used the same colours of the CCACH logo for AfroQuiz. So, what do you think about the logo? Do you think they capture the spirit of CCACH and AfroQuiz? Leave your comments below.